Planning a wedding is all about making decisions. 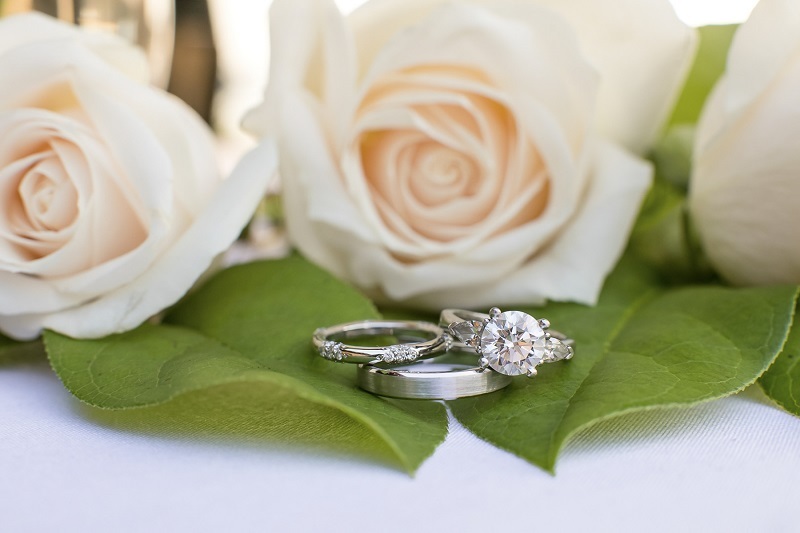 One of the toughest choices is whether to have a small intimate wedding or a larger one. Erin and Chris had the best of both worlds: a small ceremony with a bigger reception. 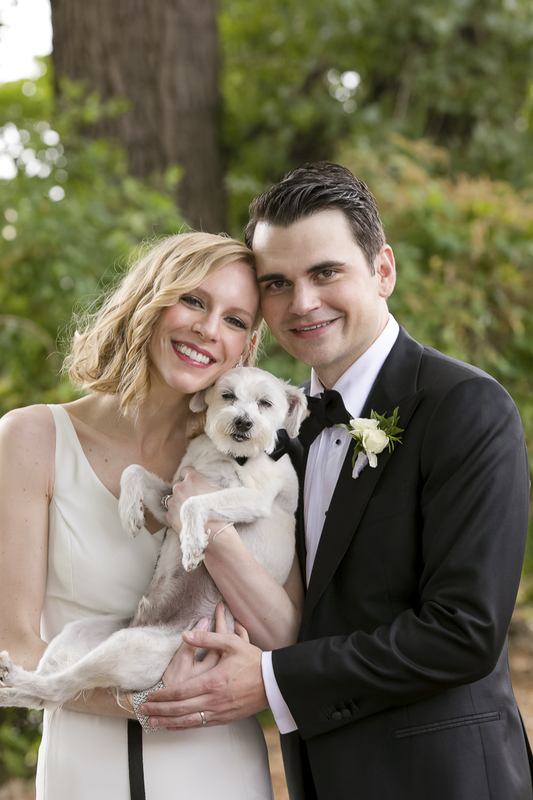 The best part of all, Cooper, their little white dog, attended the ceremony. All photos by Jeannine Marie Photography. From Erin: “I went to the Anti-Cruelty one afternoon about eight years ago to look and noticed this scruffy, dirty little white dog violently shaking and crying in his cage, he was so sad. I walked past him at first but decided to come back and give him a chance. I cautiously put my pinky finger in between the bars of his cage to see if he was friendly. He immediately quit shaking leaned his little face against my pinky and closed his eyes. Obviously, I cried. I said ‘I won’t leave without you’ and adopted him ten minutes later. I think most people who have an aversion to adopting shelter dogs worry about the dog’s past. A lot of times all they needed is a bath and a chance. Follow Jeannine Marie Photography on Instagram. 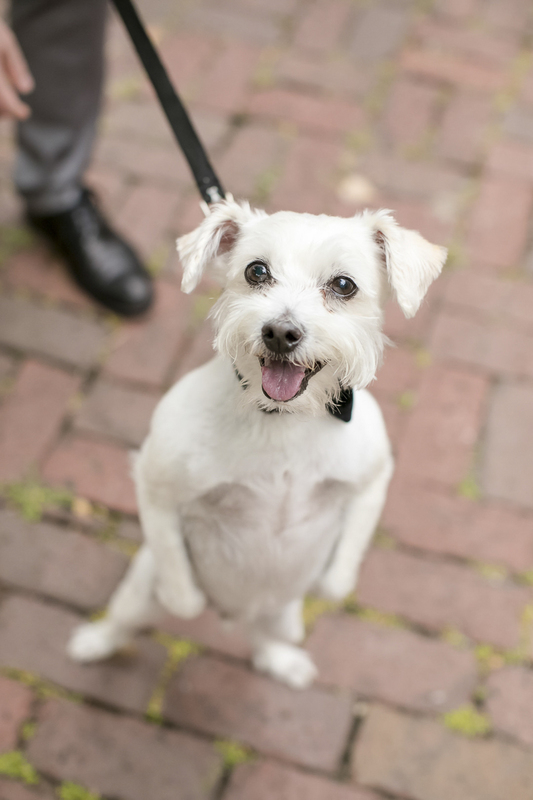 If you’re looking for a pet-friendly photographer, check our Photographer Directory. 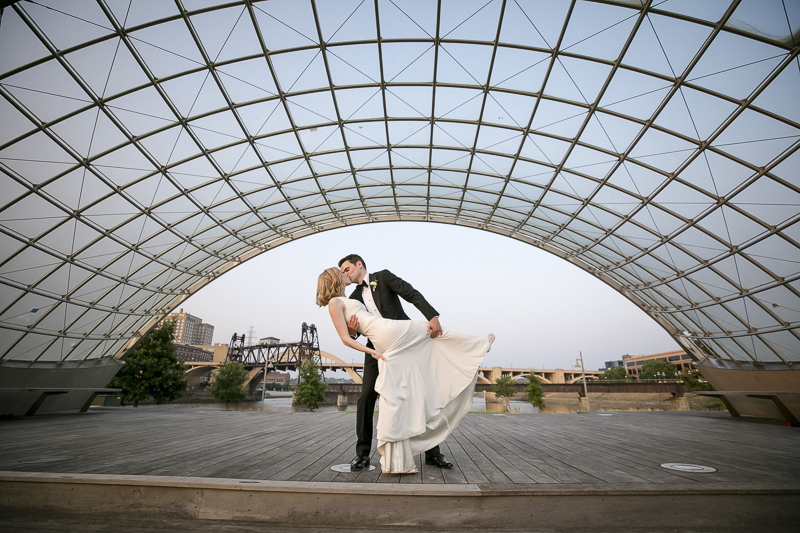 About Jeannine Marie Photography: Located in St. Paul, Minnesota, Jeannine specializes in wedding photography. OH MY GOSH! I’m in love with this little pup! 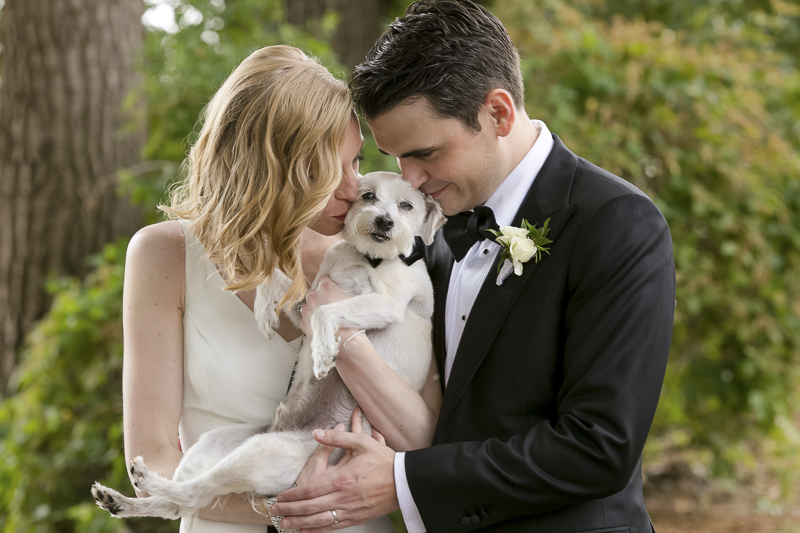 This little fluff ball looks so happy in these wedding photos too! Definitely put a huge smile on my face! Cooper is so cute! His pictures make me excited to see what my little ones look like in my wedding pictures. What a cutie! It’s always sweet when people use their pets in the ceremony. Awwwww dogs are adorable but even more so when they are in a wedding! OMG — Cooper is SO cute!! Reminds me so much of my pup! What sass and style!! love it! The look on that pups face! Priceless! omg this is too cute! Cooper is my kind of tag! Congrats ot the couple, love how they incorporated him into their day!! Erin’s feelings about little Cooper come across in how she described him during their adoption process! What love – and to be able to incorporate him in the wedding is so delightful and heartwarming! Tissue please! Seeing weddings like this make me wish I had a dog when I got married. It would’ve been such a cute addition to the big day. Cooper has the sweetest face in the world. I’m tearing up at the story. Such a happy ending for Cooper. This sweetie totally looks like something everybody ought to have at their wedding. He is such a cutie and these are gorgeous photos! Amazing photos, indeed! When I helped plan the weddings of my three daughters, the one everyone talks about the most is my youngest daughter’s small (90 guests) intimate wedding on a private yacht. It was so much fun. Cooper is adorable and looks like he had just as much fun at the wedding as anyone else. Always nice to include the fur babies in the photos as well. ohh my gosh did he steal the show ha what a sweetheart and the perfect little add to the wedding on such a special day! AW that is a great story. 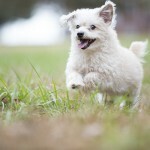 Love the adorable little pup in these pictures. Cooper sounds super sweet. Beautiful wedding photos too. Cooper is so cute. I have never heard of a dog being involved in a wedding before. How fun. It’s always adorable when pets are in a wedding. I wish I could get my cats involved, but they’d bite and claw, ha. We didn’t get a pet until after we were married, but it would have been so fun to be able to include our pups in the festivities. Cooper is the cutest! As a dog mom of three, I just love seeing dogs at events. 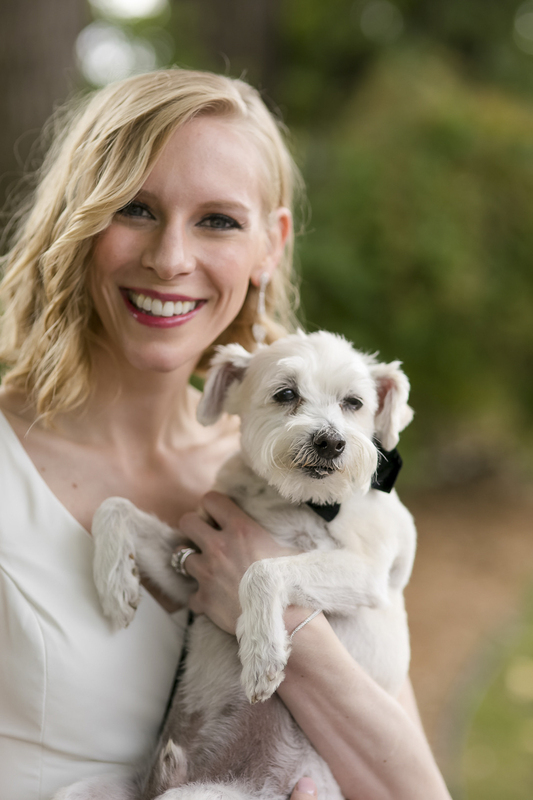 Weddings with dogs are my favorite! Oh my gosh I absolutely love the story. I am so glad that you rescued that pup. Obviously your dog needed love just to come out of his shell. What beautiful pictures of your wedding. Cooper is such a cute little dog. I wish I had thought to let our little dog be in our wedding way back in the day. We are a dog family too. I would have more if I didn’t want to travel so much. I’m loving these photos so much! It’s awesome that the dogs can be a part of this special day. Cooper looks like a happy dog! Looks like he was glad to get his people hitched! Well this is just adorable! If I get married one day I would love to have my Sophie pup at the wedding! oh my goodness! This fur baby is seriously the cutest! This is great photography and what a lovely couple making their baby apart of their big day. Super cute. OMG, what a sweetheart. I love your pictures, they’re always so clear and of course, full of love.